Due to an eye disease my capacity to write has been cut short over the last few weeks. Consequently the drama of the Australian Cricket team, my visit to Bowral to discuss the matter and taking the Boston part of the family to the Cats v Hawks are now memories of the past. Not so the decision of CA to part waves with Channel 9 after 40 years of covering the cricket. Those of us who have been looking for change, too many to mention, must now be wondering who will be in the “team” for what the conglomerate has said “will be an exciting future for cricket”. The Foxtel CEO even said “we will show every ball of every over bowled in Australia delivered with our trademark energy and creativity”. One wonders what that might be. Far more creative writers like Dips, E.Regnans, Grumpy Pete from WA and the wine king Luke R should be able to do a great deal with that! As someone who lives in the country, I am concerned by James Sutherland’s comment “that this revolutionary deal will enable increased investment in grassroots cricket through our programs and further developing facilities”. The big question is where does grassroots cricket begin and end? We have seen very little input in the past and I do not foresee any further development in the future. Ironically it is a bit like the Victorian State Government’s decision to allocate $500m to the AFL with part of that to provide AFL games in the country. As one cynic today said “oh that means Geelong, Ballarat and Bendigo”. I only hope we are all wrong on both counts. The real concern however is who will be “the voices of cricket”. Given that most of the “players” will be not subject to trading but more likely to be free agents here are my selections. Ricky Ponting – does not have squeaky clean credentials but has mellowed with age and knows the game. Chris Rogers – the best thing to come along as an expert commentator for many years. Like RB he can predict what is going to happen next. A rare trait. Ian Chappell – speaks for the common fan and we need some one in his age group. A very fair commentator who knows the business from inside out. Jarrod Kimber – Jarrod who? My smokey. He has everything a commentator needs , wit, vast knowledge and no baggage. Tim Lane has gone past Jimmy Maxwell as the doyen of cricket commentators in Australia. Has the voice and knowledge to be a sound leading man. Gideon Haigh – might not appeal to everyone but the most erudite of cricket commentators whose passion for the game is second to none. If CA needs a caning Gideon will deliver. Alister Nicholson – the new man at the helm of the ABC. Would be a great long term prospect to anchor the show. Gerard Whateley – Probably jumped ship too early had he known this was to happen. Not a great cricket commentator but a great front man. He “keeps the bastards honest”. Bill Lawry – would bring him out of retirement for all games in Melbourne. Passion personified. Ed Cowan – has been a stirrer but knows the game and more important how players “feel”. Will pull no punches. 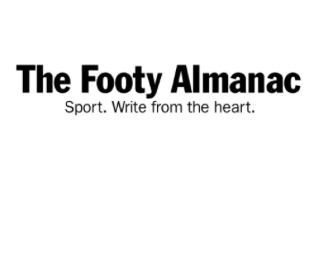 Damien Fleming – the bowlologist tries to be funny but he isn’t. We need serious commentators and he doesn’t measure up. Ian Healy has gone past his use by date and we can predict what he is going to say next. Michael Slater – like Healy has gone past his use by date and we won’t have to see replays of him kissing his Aussie Cap. Shane Warne – will be a shock to many people but his failure to not condone Cape Town puts him in my OUT team and will save the conglomerate a bag of money. Mark Taylor like the majority of nine commentators he should retire to flog air conditioners. Past his prime. Mark Nicholas – well he is a pom! No Michael Clarke in either list. Isa Guha is worth a spot. So is Peter Lalor. Looks like a decent line up to me Bob, though i’d substitute Ed Cowan for Damien Fleming. You can’t find a female commentator (s) for the line up ? Talking of cricket here in England what about this new game. 50/50 amongst the experts. Members at the Lords Tavern yesterday choked in their ale. 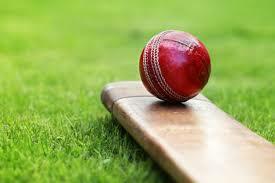 I am waiting for the one ball game and we can play 100 all in one day! Glenn – Alzheimer’s has set in. Lisa S and Richie’s former tea lady are great. Bring them in! Jarrod Kimber is an inspired choice! I like the idea of an intelligent, articulate special comments person a la Peter Roebuck. GIdeon Haigh fits the bill. In England they’re talking about replacing 20-20 with 100. It would be fifteen 6 ball overs, with an over of 10 balls. I reckon chapelli is past his use by date too. Too many stories from 60s and 70s. Glen I am in England see earlier comment. Noel you could be right in regard to Chappelli but he has wisdom that other guys don’t have. Colin Jarrod Kimber is a ripper! I would give Adam Collins and Geoff Lemon a crack. Their banter on their Final Word podcast is excellent. Heartily endorse the sentiment and many of the suggestions. From my view, what has been lacking particularly in the case of Ch 9’s coverage is a gun commentator to steward the rest of the team. When it comes to situational strategy Shane Warne is as cunning as the proverbial dunny rat, so he should be shepherded into that being the focus of his special comments rather than pizza toppings and froffies. Ian Chappell, again, is left to chunter on rather than an inquisitive commentary leader looking to draw in his often idiosyncratic views on on-field leadership. Ian Healy, when he first started, was actually very good at talking about batting and keeping technique but now not so much. Mark Taylor revels in his own ignorance of the contemporary game so should be chucked ASAP. Nonetheless, get the right leader/s and you could probably cycle any number of commentators around them for good result. I wonder (fear) who in Channel 7’s current stable might get a gig? Surely Bruce wouldn’t be required to bring out the growl (not that I’d mind)? I agree with most of your thoughts CB, but Fleming makes the cut, for mine. MC – I gather you agree. Good news Gilly signed up. Ponting waiting on who becomes head coach?